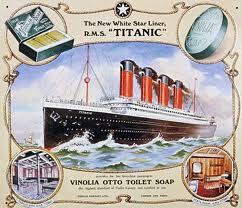 It is one hundred years today that the opulent ocean liner RMS Titanic sank on her maiden voyage with the loss of 1514 lives. Neither she, nor her crew or passengers, will be readily forgotten. Forget Me Not is a story created from fact about the fictional Gilmore family’s voyage on the Titanic in April 1912. Their experiences cover the eight days of their voyage and are narrated alternately by the voices of teenage siblings Thomas and Evelyn. Thomas is excited about the trip to America. All their belongings have been sold and they are sailing towards a new life. Although the family is quite wealthy, they travel second class. Thomas soon meets Hugh and his sister Meggie, who are returning to America after a holiday in France with their parents. The four become daily companions and Thomas and Evelyn learn much about America, the people and lifestyle. But Evelyn feels sorrow at having left all that is familiar behind, especially her dog Dash, and her two best friends, Clara and Mary-Jane, who have gifted her a leather-bound book in which to collect autographs. (These autographs open each chapter that Eve narrates) Increasing her despondency is an inexplicable feeling of dread. Evelyn also has her snappy mother to contend with. Nothing she does seems right. Her gender places restrictions on her, and she must care for her younger sister, Bea. Slowly, her mother’s reasons for being waspish and bitter are revealed. There are moments of joy and exploration for the children, and their father is a great buffer between them and their mother’s abrupt words. They all meet up with interesting characters on board. Information on the daily happenings, descriptions of the ship and the crew, activities and gossip, flow through the narrative up till the events of the dismal day. There is a two-page glossary of nautical terms at the end of the book. Welcome are the additional facts included which are similar to those presented in The Watch That Ends the Night by Alan Wolf. These include the biographies of actual people that were on board the Titanic, and a list of Australians on board (the survivors and those that weren’t recovered) There’s a breakdown of statistics of men, women and children in each Class which includes how many were saved, how many lost, and a Timeline of happenings from the 10th April to 1st September 1912. There is no possibility of this historical event ever being forgotten. Even after one hundred years, Titanic fans still thirst for books to read on a disaster that continues to hold people spellbound. "Titanic": The Ship of Dreams One from my own bookshelf: this is an outstanding creative non-fiction book with maps, journal entries, pop-outs and more to pore over.